The 4th point series race of the 2007 NSDA season is now complete. Scott Whipple (Top Fuel), Richard Montiel (Top Alcohol), and DL King (Top Eliminator) were among the weekend's winners. Charlie Brown took the top spot in the final qualifying session with a great 2.484/162.80mph pass. Scott Whipple followed him closely with a 2.500 with Keith Longerot's 2.558 rounding out the top half of the field. Scott Whipple ended the day in the top qualifying spot with a 2.608. Dennis Rieck and Craig Brown ended up 2nd and 3rd in qualifying on the day. The team of Longerot & Stires is also on the grounds to compete in TF. 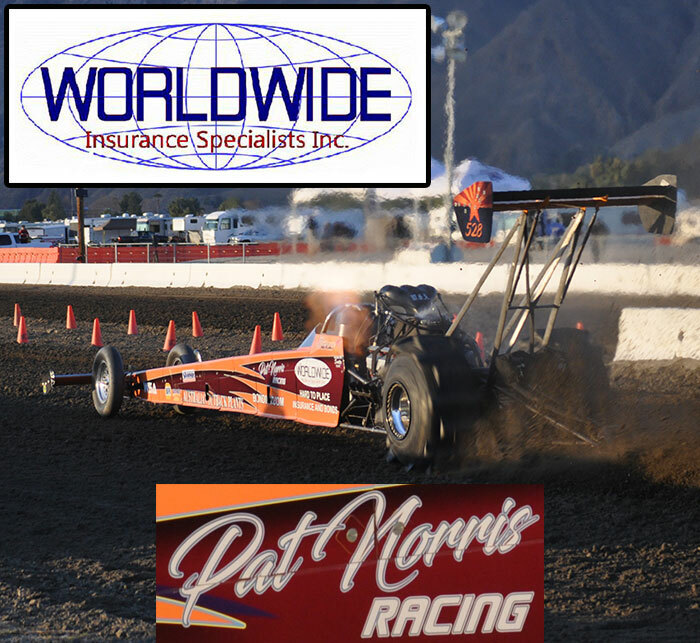 Richard Montiel backed up his Primm top qualifying spot with the quick time Friday in TA with a 2.614. Dan Allen laid down a nice 2.632 to end up 2nd. Shane Sanford rounded out the top half of the field with a 2.680. A stout field in TE was topped by Taylor Brewer's nearly perfect 2.955. Primm winner Pete Schenk is currently #2 with a 2.98. Rick Morris and Mike Rasmussen complete the top 4. National Sand Drag News will be bringing you daily race coverage this weekend presented by the National Sand Drag Assocation & Heavy Metal Racing/Chittenden Motorsports from NSDA's fourth point series event of the season. Racing action starts at the Soboba Casino in San Jacinto, CA on Friday with test and tune for Pro and Sportsman bracket classes as well as the opening two sessions of TF/TA/TE qualifying. Check back each evening for results, news, and video from the event.